Kottayam is one of the most important residential areas in Kerala. Known for its convenient location and easy availability of several healthcare and entertainment facilities around, property in Kottayam is in great demand. In the recent years, people have been increasingly investing in these apartments, that have come up in several residential complexes in the region. Investors and homeowners are eyeing these living spaces due to their high return value on sale, as well as sophisticated interiors. 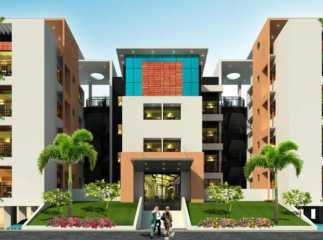 If you are willing to buy flats in Kottayam, this is the best time for you. The prices of property in this region are rising. Evidently, you can strike a good deal if you make the investment now. The projects in Kottayam are known for their strategic location and the availability of all the necessary amenities in the residential complex. In the last decade, several infrastructure projects have been undertaken in the region. With upgraded roadways, fast transportation systems and enhanced security features, the locality is attracting hundreds of homeowners from various regions of the country. People having a decant housing taste should definitely have a look at the upcoming properties in Kottayam. These residential complexes come with 2,3, 4 BHK apartments and these are customized for the high-end buyers and mid-range homeowners. People who love green living infrastructure will also find this setting ideal for them. With extensive green lawns, large open spaces and landscaped gardens in the residential estates bring them a space to live up to their housing dreams. The apartments in Kottayam come with wide balconies and large windows. The elegant furnishings will live up to your taste. You can sit in the balconies and let your eyes absorb the beauty of the green surroundings. Apart from this, the important commercial areas around the area are located close to the residential complexes. The residents can easily reach these areas through the well-developed transportation system. Commuters will find no difficulty in reaching their offices. Entertainment facilities, shopping malls and multiplexes are present around the plots in Kottayam in large numbers. You will also get fast access to the enriched educational and healthcare infrastructure in the region. The important schools in the area include Baker Memorial School, Government Model Higher Secondary School, NSS High School, MD Seminary Higher Secondary School, St. Thomas Girls High School, Lourdes Public School and Junior College and Queen Mary's Public School. The important hospitals around the housing estates include, Ananda Hospital, Vasan Dental Care, General Hospital, Susrusha Hospital, City Hospital and Santhigiri Ayurveda & Siddha Hospital. You can move to the villas in Kottayam that bring you every facility for a luxurious living. The residential complexes come with a number of healthcare and fitness amenities, including swimming pool, gym, jogging tracks and cycling tracks. The residents can also enjoy their time in the clubhouse, or playing indoor and outdoor games. Investors and homeowners looking forward to buy elegant property in Kottayam Kerala should make their investment now. The prices of property in this area are on the rise. You can enjoy a luxurious and comfortable lifestyle when you move here.